Book Review: 'The Other Americans,' By Laila Lalami Laila Lalami's new novel combines riveting police procedural with a sensitive examination of life in California's Mojave Desert region, told through a well-rendered choir of different voices. 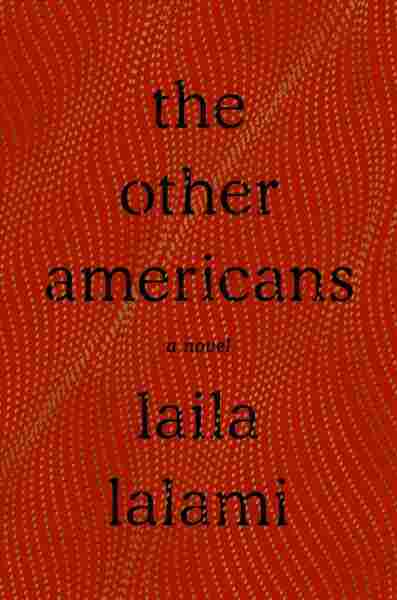 Carve out some reading time before you pick up Laila Lalami's new novel The Other Americans. You won't want to get up from your chair for some time, maybe even until you've reached the last page. You're in the hands of a maestra of literary fiction, someone who has combined a riveting police procedural with a sensitive examination of contemporary life in California's Mojave Desert region. The first narrator in this many-voiced book is Nora Guerraoui, a young composer born and raised in California by Moroccan immigrant parents Driss and Maryam. When Driss dies in a hit-and-run accident, Nora wants answers, maybe even revenge, while her mother and her sister Salma have much more passive reactions — for different reasons. Others we hear from: Jeremy Gorecki, a new cop; Efraín, a Mexican immigrant without papers; and Coleman, a detective a few rungs above Gorecki. The many perspectives (there are still others) reminded me that the Pulitzer-nominated Lalami (The Moor's Account) holds a doctorate in linguistics. She's superb at creating different cadences on the page, recognizing that even when speaking in a relatively similar tone, people's voices carry. One character on his dogs: "They're a fantastic breed — smart, trainable, completely devoted." Another, in stream of consciousness: "You take a Vicodin. You are no longer a trained seal. Now you are a bird. You float away, free." However, it wasn't until the kicker in a chapter nearly two-thirds of the way through that I put down The Other Americans so I could think. A longtime resident of the Yucca Valley says, of immigrants and other newcomers, "They didn't ask if we wanted them here. They just came." It's an arresting way to remind readers that all of the residents in Yucca Valley "just came," too. The original people who lived there were, of course, Native Americans. After them came the Spanish, who were pushed aside by Northern European descendants looking for "that do-re-mi." Yet the American citizens today who are anti-immigrant, pro-border wall staunchly believe that they and theirs were the first ones to arrive, whether their families have been in place for generations, or just a handful of years. Unlike me here, Lalami isn't trying to unpack a complicated political agenda in a paragraph and, even if she has a whole book in which to do so, recognizes that her time is better spent weaving details through than arguing. A chapter narrated by Driss shows how thrilled he once was to buy and own a small business. Another, from Gorecki, sums up the basic-training experience for any new recruit. Nora experiences the high of winning a coveted award fellowship — and the low of being seen as "other" when she travels to take part. We expected that, on seeing the title The Other Americans, written about a Moroccan-American family. What Lalami does that isn't expected: She shows how we are all "other," not just to our fellows, but to ourselves. A person capable of a ghastly crime might also be capable of deep feeling for other creatures. People who were once closer than lovers can drift apart, and lovers can become strangers within weeks, or decades. I believe The Great American Novel doesn't exist, at least in the 21st century, because the American experience is too vast and multifaceted to be confined to one book's pages. However, if someone asked me to name one book I think at least grapples with the problem of trying to be The Great American Novel, I'd name The Other Americans. Lalami wants to show how things are today, how they really are, in a country where a young African-American girl can grow up to be a professional — but still be inwardly humiliated when a criminal calls her by a nasty epithet, a country that sends its very young people to wars thousands of miles away but doesn't give them adequate support on homecoming, a country capable of supporting education and the arts but not of allowing equal opportunities to all citizens to reach them. For those who read this excellent novel as a mystery, there's a conclusion, a "perp," if you will. But reading it as a testament to our modern dilemma may be more satisfying, and, in that case, the conclusion might lie in the section where Nora realizes she's not the only person in the family whose life isn't exactly as she wished it would be. Her mother, she thinks, "spent years trying to mold me into someone she could be proud of, but I had been so busy breaking out of that mold I hadn't noticed all the ways in which I was already like her." The Other Americans reminds us that our country both makes and breaks molds regularly, and should probably do more of the latter. After all, it's where we started.